For decades, human activities and decisions have been supported by algorithms. They are the hidden rules and instructions that help our computers to process data and run complex calculations. But in recent years, algorithms have moved from a supporting to a starring role. As our machines have become more powerful, the algorithms have become more sophisticated - so much so that they are now in control of potentially life-changing decisions. In the courts, algorithms decide if jail time is warranted. In hospitals, they match organ donors to waiting patients. And on the streets, they steer driverless cars. In each of these scenarios, wrong decisions can lead to tragic outcomes. In this talk, I'll explore our relationships with algorithms, the responsibilities we give them, and the impact they are having on our societies - including the good, the bad, and the downright ugly. 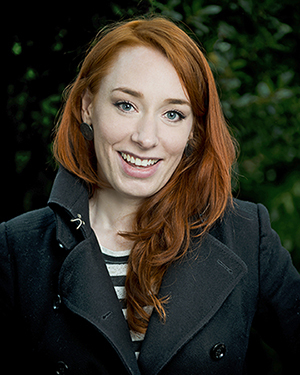 Dr. Hannah Fry is an Associate Professor in the Mathematics of Cities at the Centre for Advanced Spatial Analysis at UCL where she studies patterns in human behavior. Her research applies to a wide range of social problems and questions, from shopping and transport to urban crime, riots, and terrorism. Hannah ’s expertise has lent itself to a number of critically acclaimed BBC documentaries where she has presented ‘City in the Sky’, ‘Horizon: Finding Love Online’ and Britain’s Greatest Invention’ (BBC2), ‘The Joy of Data’, ‘Contagion! : The BBC Four Pandemic’, ‘Trainspotting Live’ and ‘Calculating Ada’ (BBC Four). Her radio programmes include ‘Music By Numbers’ (BBC R1), ‘The Curious Cases of Rutherford and Fry’ and ‘Computing Britain’ (BBC R4). As an author, Hannah has written: ‘The Mathematics of Love: Patterns, Proofs, and the Search for the Ultimate Equation’ (Simon & Schuster/ Ted, Feb 2015), ‘The Indisputable Existence of Santa Claus: The Mathematics of Christmas’ (Transworld, 2016) and ‘Hello World’ (Transworld, 2018).